Breaking the Sound Barrier 8 is the eighth iteration of a long running audio / remix project by artists Alan Dunn and Martyn Rainford. What began as a collaborative track on one of Dunn’s numerous compilation CD’s, A History of Background, evolved into a 5:1 surround sound installation presented at BasementArtsProject in August 2012. Beyond this the track has been remixed and re-presented in various formats in different cities around the UK as well as elsewhere in the world. 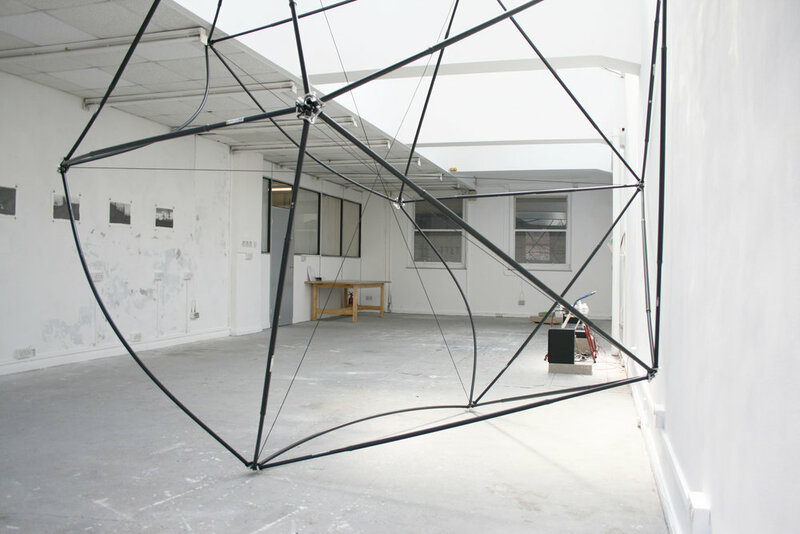 The current version of this project, presently being exhibited at Depot Art Studios in Manchester, is one that has been through the hands of numerous artists including Scanner and Dr Cyclops and has been presented in Leeds, Liverpool and New York. Most recently it was remixed live at the Scope+ techno event in Huddersfield by Jack Wolff. But this is not where the story ends: last year an Open Call was run through curatorial website CuratorSpace to find an artist who was willing to contribute a female vocal to the most recent version of the track. After sifting through a number of excellent contributions we settled on french sound artist Laure Ferraris. It is this version that has found it’s way to the exhibition at Depot Art Studios and now sit’s alongside the work of four other artists associated with BasementArtsProject. Whilst the other works at Depot are generally sculptural or image based Dunn and Rainford’s audio piece, presented on 12” vinyl and operated by visitors, activates the space. The moment the arm goes down and one hears the underlying crackle of the needle in the groove as the vocal begins, you become aware of the sculptural quality of this analogue sound. Filling the room in volumetric terms and interacting with the other works. There is a surreal quality to this white walled warehouse on the edge of an industrial estate in Ardwick, Manchester. The late afternoon sun fills the room through the skylights further bleaching the environment and highlighting the structure by Adam Glatherine, propped against a wall like a large line drawing breaking free into three dimensional space. Almost unrecognisable from any of it’s previous formats, the addition of vocals by Laure Ferraris drift between the lines of Glatherine’s open framework, a metaphor for the process that has led Dunn & Rainford to this point in their project. “So many Boys . . . .
A City of Two Tales and Breaking the Sound Barrier 8 are typified by the spirit of collaboration and cooperation. Whilst many of the works are absolutely the work of individuals the ideas, concepts and works themselves have passed through many hands by the time they reach the stage of exhibition. 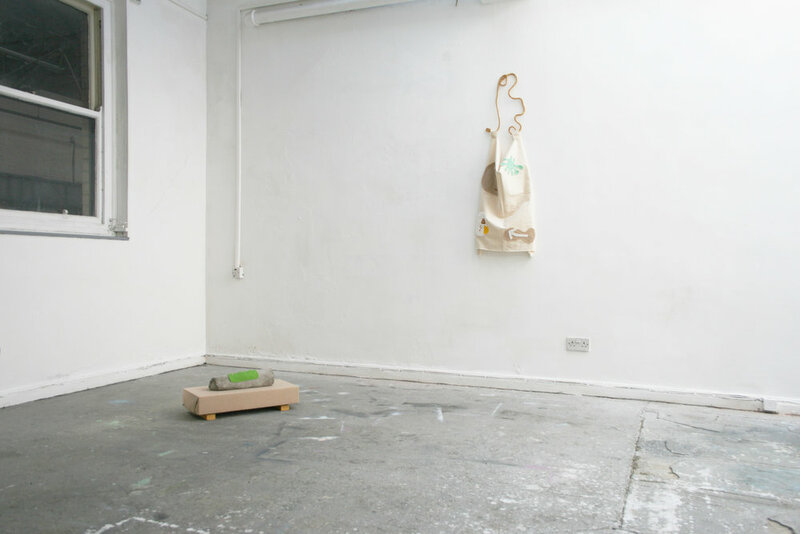 Exhibition is the point at which every artwork becomes collaborative, a conversation between maker, object and viewer. A point at which the artist allows other people to react to their vision, their ideas, their concepts. It is at the point of exhibition that one needs to be sure that the work has room to breath and can speak for itself. With this in mind I, as a selector, Depot Art Studios, as the curators and the artists must be sure that whilst their work may be individual, and can be read as a whole, it can also be seen as a constituent part of the wider scene. 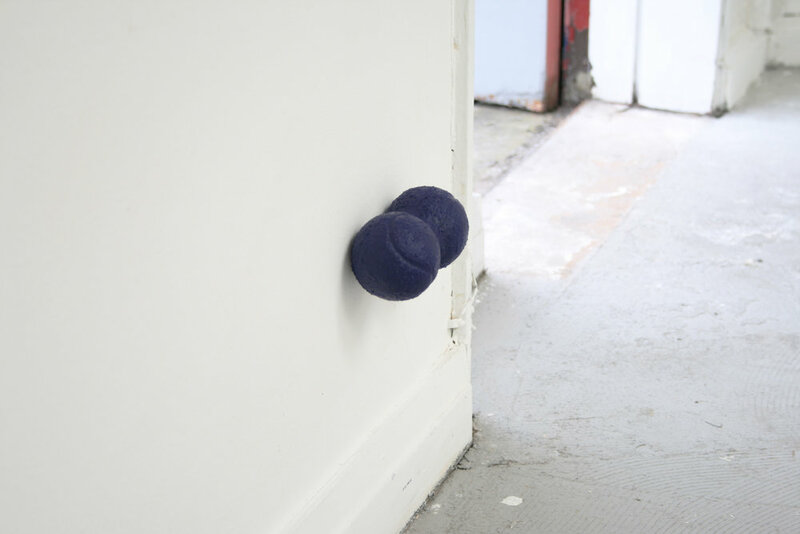 On Friday 11th May the spirit of reciprocity will once again travel across the Pennines only this time towards Leeds as we prepare to host the work of Manchester based artists: Michael Branthwaite, Kasumi Dean, Linda Hemmersbach, Kieran Leach and Martha Lyons here at BasementArtsProject. We hope you will join us for this exhibition.